We’ve had quite a year on Instagram. From documenting our trips to destinations around the world to reaching the 1,000-follower mark (and quickly surpassing it! ), we’ve made it one for the books. Take a spin through our favorite shots of the year and follow @smartertravel on Instagram for daily photos and tips from our travels around the world! In January, we were pining for the palm trees and warm breezes of Kauai's Allerton Garden, captured here by Associate Editor Dara Continenza. Read about her trip here. 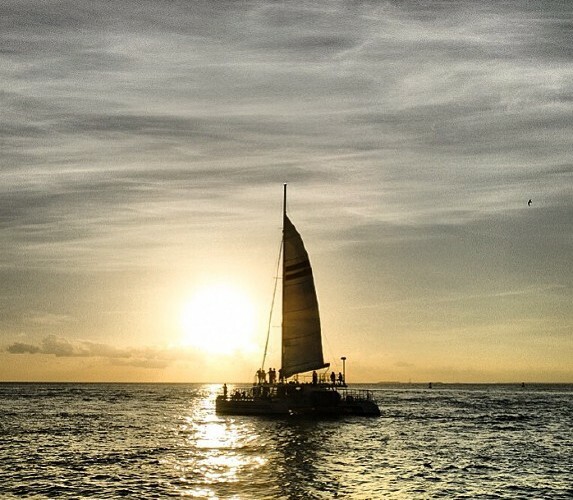 In February, we threw it back to this gorgeous Key West sunset that Copy Editor Julianne Lowell saw from the dock at Mallory Square. Read more about Key West here. Senior Editor Christine Sarkis' colorful shot of Monet's garden in Giverny, northern France, provides inspiration for an easy day trip from Paris. Pro tip: It gets incredibly crowded, so get there right at opening or close to closing. In April, Features Editor Caroline Morse had just returned from Australia. 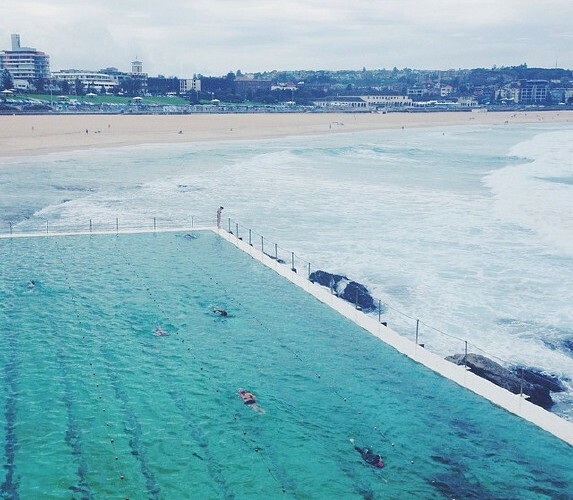 While there, she visited Sydney's beautiful Olympic pool at Bondi Baths, where swimmers do laps next to the Tasman Sea. Read more about Sydney here. Sunrise at Kata Tjuta National Park in Australia's Northern Territory. Photo by Features Editor Caroline Morse. Read about her trip here. In May, Features Editor Caroline Costello traveled to Istanbul, where she photographed the dazzling ceiling at the city's famous Blue Mosque. 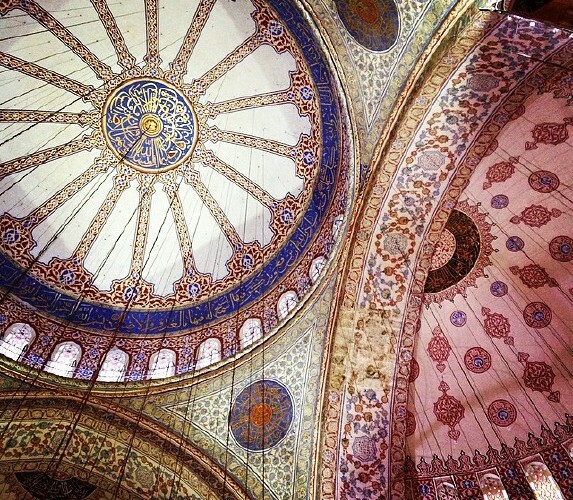 Read about her Istanbul experience here. Later that month, Managing Editor Josh Roberts took a once-in-a-lifetime six-day trek along the Great Wall of China. From this steep section, he had quite the view. Read about his trip here. Meanwhile, Features Editor Patricia Magana was holding onto the light in Honduras' Bay Islands. Read more about Honduras here. Features Editor Patricia Magana took a summery beer-and-seafood-focused day trip up the North Shore of Massachusetts. Along the way, she stopped at the Lobster Pool restaurant in Rockport as well as Ipswich's Clown Shoes Beer and the Cape Ann Brewing Company. Read about her day trip here. While exploring Jamaica, Copy Editor Julianne Lowell had some time to relax on Negril's white-sand Seven-Mile Beach. Read about her trip here. In July (at the height of World Cup pandemonium), Managing Editor Josh Roberts was in Germany, taking in this view of Schloss Johannisburg during its 400th year jubilee (after watching a match at a local bar). When Senior Editor Christine Sarkis learned the art of stand-up rowing from a gondolier, she realized that Venice is truly meant to be seen from the water. Read about her experience here. We had to throw it back to this epic sunset Copy Editor Julianne Lowell watched from the dock of Kona Kai Resort in Key Largo in December 2013. What a stunner! In August, Associate Editor Dara Continenza explored Sweden's fika tradition by eating her way through Stockholm. This cinnamon bun was a highlight. Read about her trip here. The view from a coffee plantation in Fredonia, Colombia, captured by Features Editor Patricia Magana. From the top of Lookout Mountain in Chattanooga, Copy Editor Julianne Lowell could see Alabama, Georgia, Kentucky, North Carolina, South Carolina, Tennessee, and Virginia. 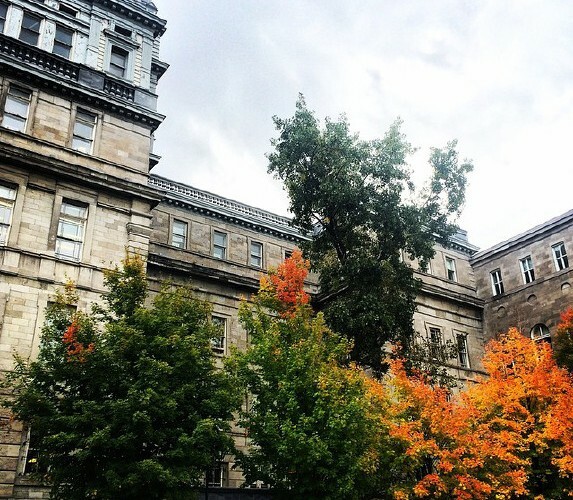 On a crisp autumn day, Associate Editor Dara Continenza took in the pretty fall colors in Montreal. Lucky Features Editor Caroline Morse stayed at a chateau rental in Monflanquin in southwest France—and this was the view from her front door. Aside from this epic Bordeaux vista, the sprawling grounds also included a swimming pool and a full outdoor kitchen and dining area for meals under the stars! Read more about it here. In October, a reminder that the end of the day is always golden (in Bermuda). Photo by Associate Editor Dara Continenza. Read more about Bermuda here. 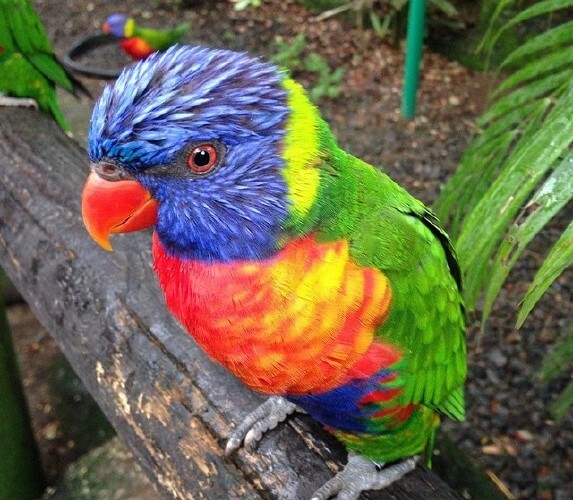 Executive Editor Anne Banas cozied up to this colorful lorikeet at the botanical garden in Deshaies, Guadeloupe. Features Editor Caroline Costello took so many stunning shots in Iceland that it's hard to pick just one. Here, hikers take on the vast active geothermal area of Hveragerdi. On Sao Miguel, the main island of the Azores, Lagoa do Fogo (Fire Lake) sits within an extinct volcano. The 8-mile hike to the crater lake rewards with incredible views and tons of local wildlife. Photo by Executive Editor Anne Banas. Read more about the Azores here. Conch fritters are the specialty at Nassau's local lunchtime favorite Bahamian Kitchen. Photo by Associate Editor Dara Continenza. In November, Senior Editor Christine Sarkis caught a beautiful sunrise in Tokyo. And since sunrise was a little after 6 a.m., she didn't even have to wake up impossibly early to see it! It's hard to believe it's already December! 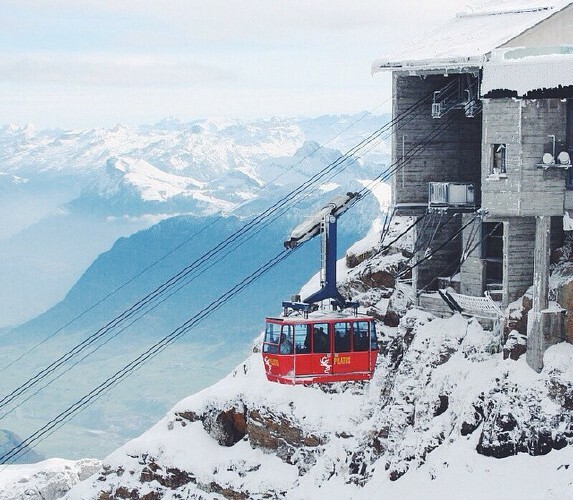 This winter wonderland scene, captured by Executive Editor Anne Banas at Mount Pilatus in Lucerne, Switzerland, is getting us ready for the season. 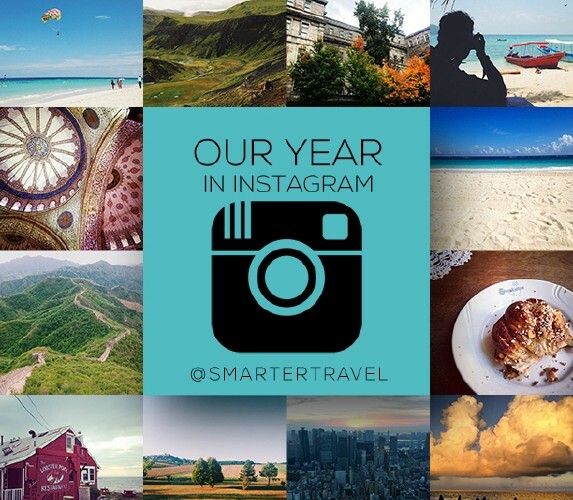 Keep following @smartertravel on Instagram for daily photos and tips from our travels in the new year!